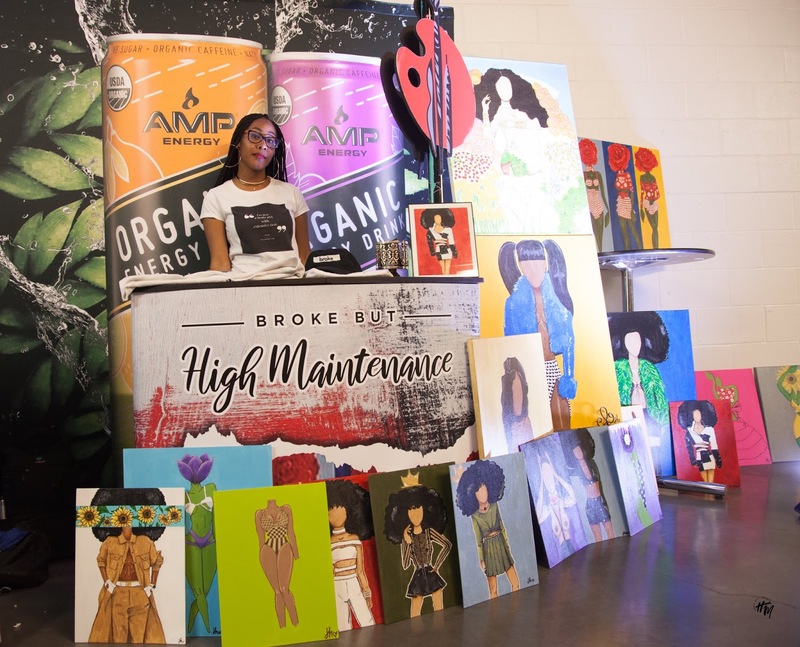 broke but high maintenance was a vendor at powerhouse at the prudential center at the end of october. i didn`t actually know this was going to happen for me and i was very lowkey about the whole experience at first. it all came about when my mom pushed me to enter this contest that she saw on power 105`s website and i was extremely reluctant to enter. i didn`t want to be put out there. i didn`t feel like i was ready or confident enough. i didn`t think i was good enough to win. sadly, all of these thoughts came from my experiences with people who claim that they will support me and don`t. i just didn`t want to get my hopes up only to be disappointed... again. also... i still haven`t managed to excel in my role as a business owner, as i have so many other responsibilities that i am juggling; it`s really hard trying to run a business, profit from said business, blog, work, paint.... survive! ugh. anyway, back to the story. i entered this contest and as i completed my application, i received no confirmation or anything. i thought there was a glitch, so i applied multiple times... becoming more aggravated with each submission. eventually, i gave up and forgot about the whole contest. on a random friday in september, i received a call while i was finishing up a project at work. i ignored it, assuming it was another telemarketer. the caller left a voicemail, so i figured it had to be important and it was. i was notified that i was the winner of this contest and will be showcasing my hustle at the powerhouse pre-event party and backstage at powerhouse. the excitement of it all did not kick in until the pre-event party, a month later lol. 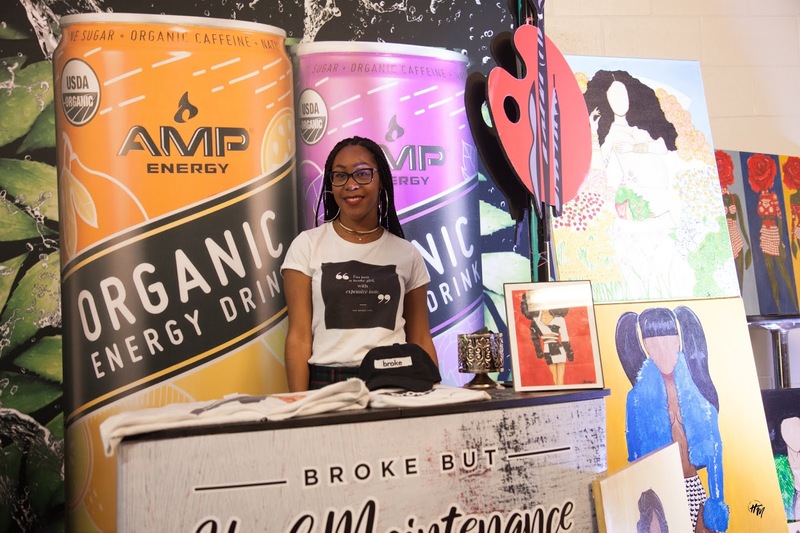 on october 24, i was prepared with a booth and space for all of my artwork & merchandise. 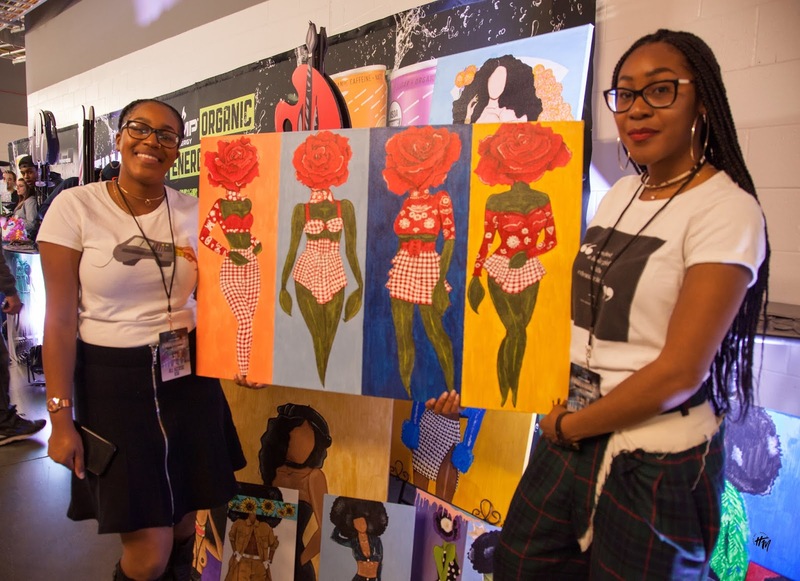 my sister helped me set up at the highline ballroom. throughout the night, i was interviewed by fellow bloggers and a writer for forbes magazine. it was really dope, seeing the amount of support and love from strangers. the other winners were really cool, too, and i enjoyed sharing this experience with them. the big event was on october 29. we set up backstage outside of the interview room. it was crazy to rub shoulders with some amazing entertainers, performers and greats in the industry. to have some of them tell me how nice my work was felt good. i know we aren`t supposed to depend on the opinions of others, but honestly, in a business where you`re serving a product, the opinion of others is important. now, i love my work but i also enjoy when others love it just as much as i do. later in the night, myself and the other winners were interviewed by angela yee. i wasn`t nervous at all until i sat down, lol. my hair was doing its own thing, along with my hands. you can tell that i am not used to being interviewed like this. my interviews at the club were more intimate, believe it or not. there weren`t people watching us or cameras flashing. guess this is something i need to work on and get used to. you can watch my little interview below. i was able to gift angela one of my favorite pieces and i`m happy that she liked it. it was actually really hard to part with my little baby, but i`m happy that she found a new home.